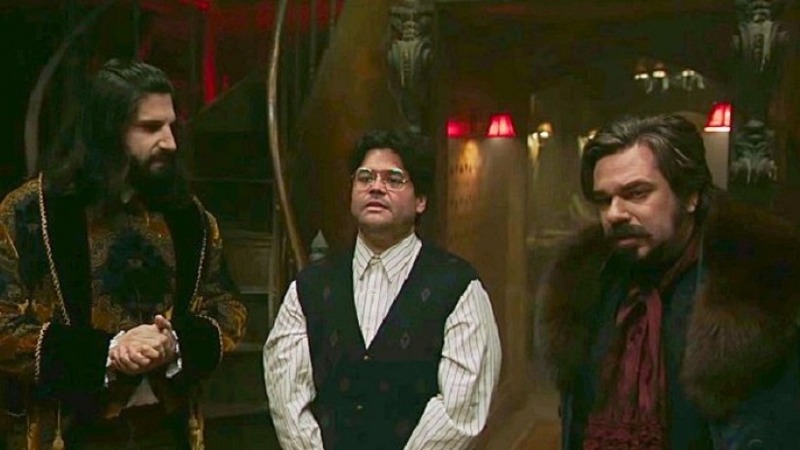 Review: “What We Do in the Shadows” is officially coming to TV. FX has ordered a 10-episode first season for a half-hour comedy series based on the 2014 film of the same name. The series hails from co-creators Jemaine Clement and Taika Waititi, the stars, writers, and directors of the film. The series is slated to debut in spring 2019. Set in New York City, the series follows three vampires who have been roommates for hundreds and hundreds of years. It will star Matt Berry, Kayvan Novak, Natasia Demetriou, and Harvey Guillen. Clement, Waititi, and Simms are executive producers on the series along with Rudin, Eli Bush, and Garrett Basch. This is not the only “What We Do in the Shadows”-associated project in the works. Clement and Waititi are also developing a sequel film based off a group of werewolves featured in the film currently titled “We’re Wolves.” The pair is also working on a spinoff series in New Zealand called “Wellington Paranormal,” following the bumbling cops Karen and Mike who were briefly featured in the film.